The department has organized a panel discussion by III B.Sc Nursing students on the occasion of world mental health day. Theme of the talk was "The Great Push- Investing on Mental Health". Students and faculty members attended the programme. Public Health Talk in MRD of Father Muller Medical College Hospital. 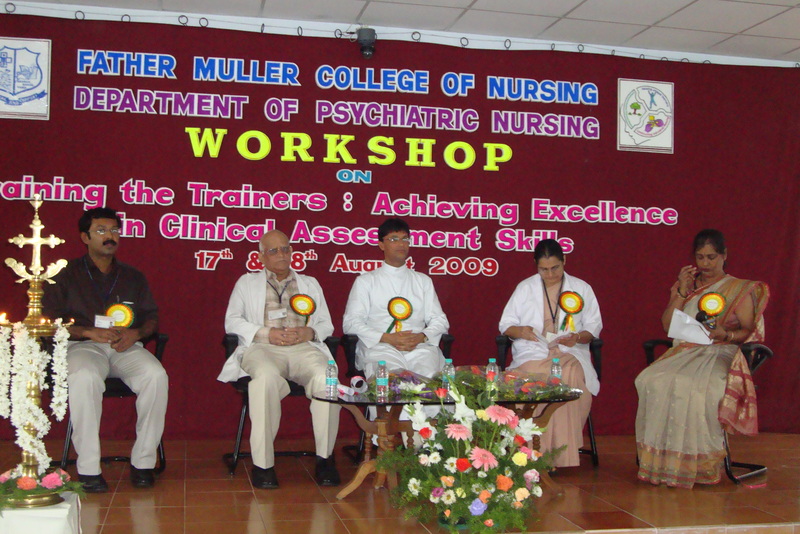 We have organised and conducted a public health talk in out patient department of Father Muller Medical College Hospital on 21st September 2011 on the theme World Alzheimer's day, " Faces of Dementia". The talk was resourceful and many of the people listened to it with utmost interest. Live phone in program organized in V4 Channel. We have given a live phone in program in V4 news channel on 16th Sept 2011 on the awareness of observing Alzheimer's day. The resources persons were Dr Aruna, Asst professor, Mr Nageshwar, Lecturer, Father Muller Charitable institutions. General public were made use of this program by clarifying their doubts on memory loss. We have organized a series of health talks from 22nd-25th August 2011 on 'Alcohol & Substance Abuse' at Spandana Trust, Jeppu, Mangalore. The talks were very informative and a novel ecperience for the participants from surrounding areas. 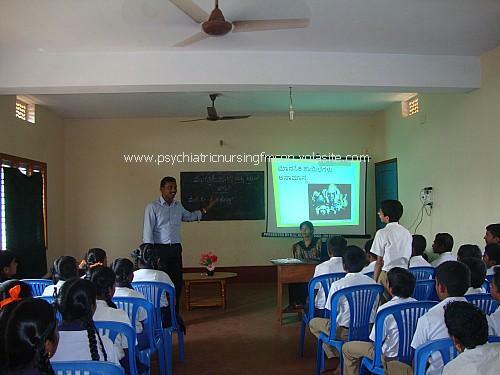 Clinical orientation programme for 1st year M.Sc Nursing (Psychiatry) students was held from 4th to 8th August 2011 at the Father Muller Mental Health Centre. The 4 days programme included the skill training and participatory workshop for the students with interactive sessions which would enable the students to handle the cases by application of the skills in the clinical area. Department of Psychiatric Nursing, has done a research study titled, "Motives on alcoholism for the past 30 days in alcoholics admitted in the De-addiction center" of Father Muller Medical College Hospital in the month of November2011.